Below you can view all the homes for sale in the Brookshire North subdivision located in Carmel Indiana. Listings in Brookshire North are updated daily from data we receive from the Indianapolis multiple listing service. To learn more about any of these homes or to receive custom notifications when a new property is listed for sale in Brookshire North, give us a call at 317-427-7201. Relax and enjoy the backyard view of the beautiful mature trees from your large deck. MLS#21630690. Highgarden Real Estate. Treed and fenced backyard complete this cul-de-sac located home. MLS#21630417. F.C. Tucker Company. Enjoy the views from the wood deck overlooking the spacious yard. Come see this home today! MLS#21626068. F.C. Tucker Company. 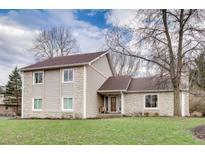 Close to schools, shopping, monon trail & restaurants. 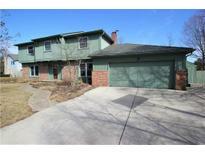 MLS#21617350. F.C. Tucker Company.